I'm not a huge fruit fan. A banana here or there....however summer is probably the only time you will see me indulging. Mangoes mmmmmm, cherries are number one on the list...especially the ones from Red Hill but only equal to the very Greek karpouzi ke tiri..Translated Watermelon and feta cheese. I absolutely love the stuff...Very simple but very mourish. If I was to eat anything that would "transport" me to Greece it is this. The balance of sweet and salty is just out of this world. Who needs salted caramels??? 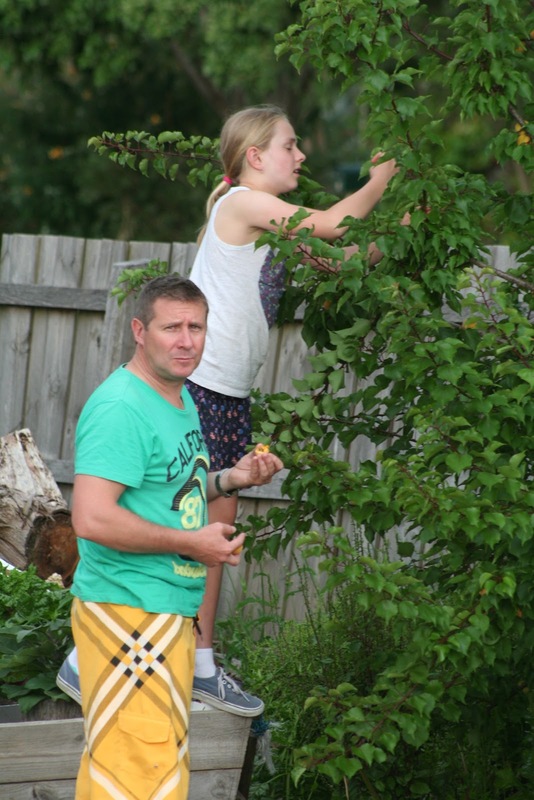 Mum and dad have a variety of fruit trees at their home in Dromana. The apricot tree this year has been fantastic...Now we are just waiting of the peaches, apples and figs to ripen.....Yummo! !